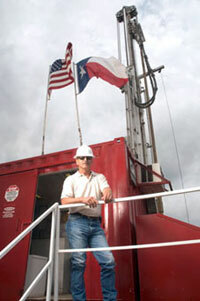 Founded in 1992, Pinnergy is a privately-owned company based in Austin, Texas. In 2003, the current executive management acquired a majority ownership position in the Company, providing Pinnergy with additional capital resources and management expertise. The objective was to build a diversified energy service company with a broad and comprehensive service offering. The Company has assembled an experienced senior management team of talented individuals with over 400 years of combined industry experience. The Company has experienced significant growth over the recent years, and continues to extend its geographic territory and diversify its service offering. Our dedication to our customers through our employees, equipment, operating footprint and corporate culture has helped make Pinnergy the premier oil and gas services companies in the industry. Our goal is for our employees to develop a long-term career path and to work together as a team in order to accomplish Pinnergy's long- and short-term goals.